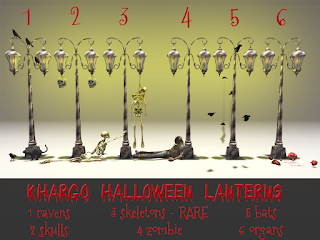 Khargo: Furniture and Design: Skeletons, Darkness and Things that go Bump in the Night at the Ghost Town! Skeletons, Darkness and Things that go Bump in the Night at the Ghost Town! 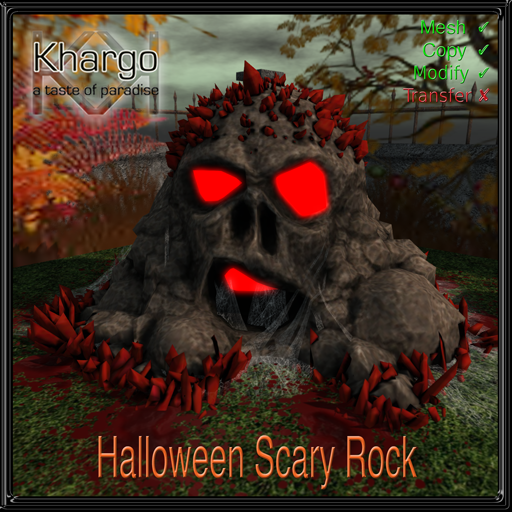 Macabre new items for your creepy crypt or haunted house at KHARGO HALLOWEEN MARKET! 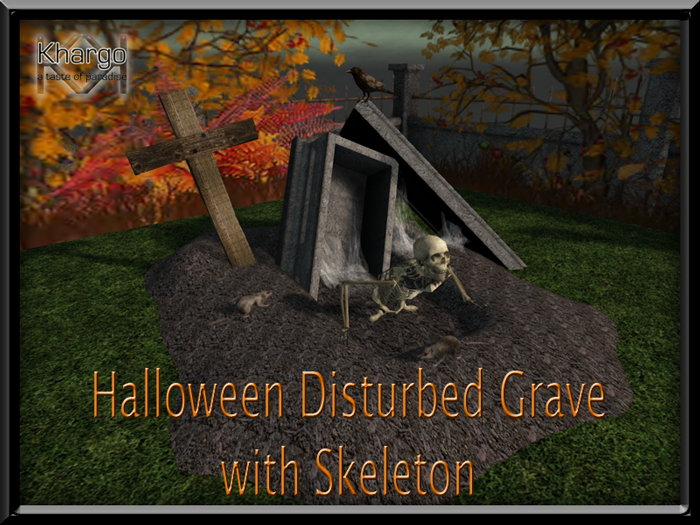 Resurrect the dead this holiday with the Disturbed Grave with Skeleton. 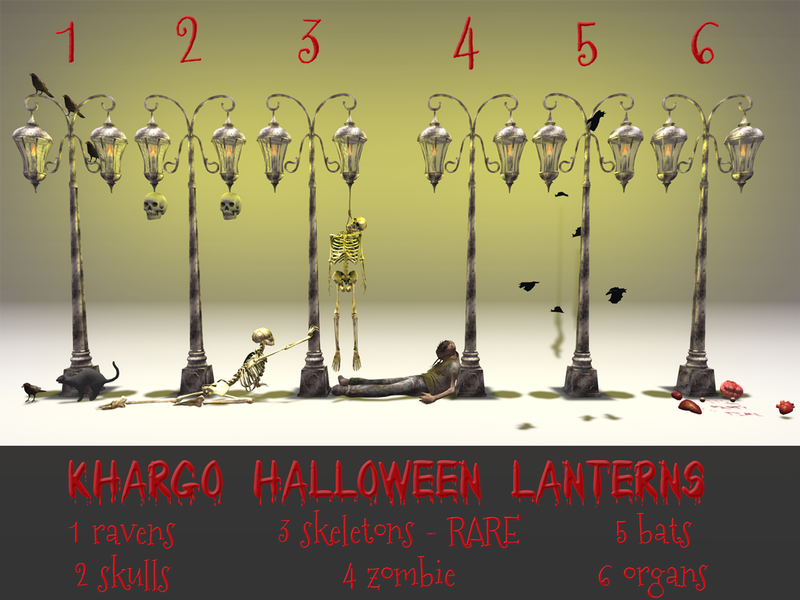 6 Spooky Halloween Lanterns to collect - 40L per pull. 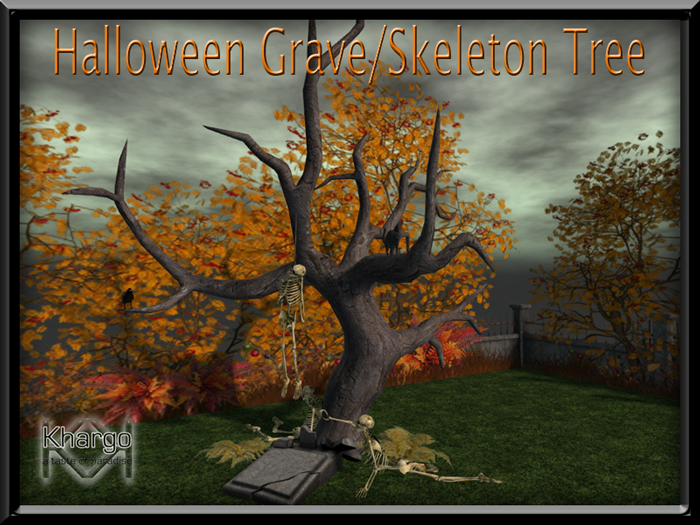 Halloween has most definitely arrived when you have the Halloween Grave with Skeleton Tree on your land! 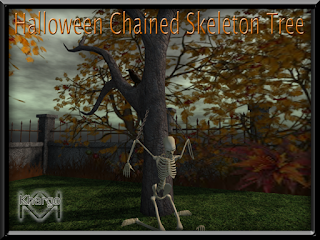 Keep him where you can see him! 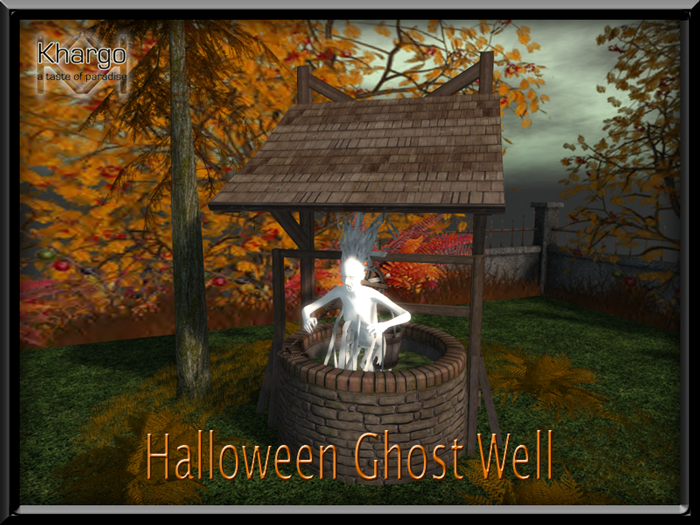 A haunting figure lives in the well. Don't get too close - you might not get away! 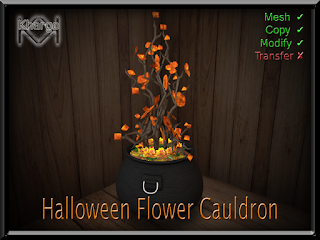 Find him at Khargo Halloween Market for 1L or 25L at the sign. Hunt runs from 1 to 31 October. Check the Hunt Hint at the sign for a clue where to find this 1L prize. 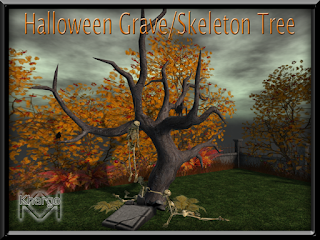 Hunt runs from 7th to 31st October. Have a Huntingly Good Halloween from Khargo Halloween Market!